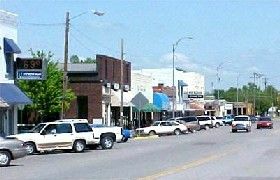 About 12 miles north of Wichita, Kansas sits the small town of Valley Center. Now having a population of a little more than 5,000 residents, the settlement was born in 1872 on the banks of the Little Arkansas River. Located along the ever important railroad, the town grew to include a post office, three stores, two blacksmith shops, a grain elevator, and several homes by the early 1880’s. 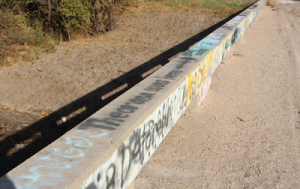 Though now a bedroom community to nearby Wichita commuters, one of biggest attractions in this quiet town is that of the haunted Theorosa Bridge, also known as the 109th Street Bridge and the Crybaby Bridge. On an old country road three miles north of town on Meridian Street, this old bridge spans Jester Creek at the intersection with 109thstreet. There are several legends about the haunting of this bridge all based on a baby drowned in the creek below. Today, the bridge is a simple concrete bridge that normally no one would pay any attention to, except for the legends. The first legend tells of settlers who were passing through the area in the late 19th century when they were attacked by Indians and a baby named Theorosa was kidnapped. Her grief-stricken mother was said to have left the wagon train to search for her missing daughter and reportedly continues to look today as her mournful cry can still be heard calling out for her child. Another legend has it that a skirmish between the cavalry and an Indian tribe living by the creek occurred about this time. In this version, an Indian woman is stabbed and her baby is dropped into the creek and drowned. Yet another tale suggests that a woman named Theorosa is a young woman who has an illegitimate baby and drowns it in Jester Creek to hide her shame. Later, overcome by guilt, she drowns herself in the creek as well. Finally, another tells of an engaged woman who fell in love with another man and bore his child. Jealous with rage, her fiancé reportedly through the baby over the bridge into the creek and Theorosa jumped off the bridge to save her baby, but drowned herself, instead. In any event, the bridge has reported to have been haunted for years and years. Many have reported seeing floating balls of light, eerie shapes, and the apparition of a woman in the area around the bridge. Cars are said to mysteriously stall as they cross, or if they should stop, will feel the entire vehicle begin to shake. Others report cold breezes which seemingly come from nowhere, and the sounds of mournful voices or the chilling cries of a baby. Yet others say that the weather is consistently different at the bridge than it is in the rest of the area. Rumor has it that if you call out to Theorosa, telling her that you have her baby, she’ll come out of the water and attack you. The original iron and wood bridge that first stood at Jester Creek for decades burned down in 1974, was rebuilt, and was destroyed by fire again in 1976. Afterwards, it was closed for the next fifteen years. However, in 1991, the road was reopened and the current concrete bridge was built that continues to serve travelers across the creek. © Kathy Weiser/Legends of America, updated May, 2010.